members of the Specialty Food Association. Summer Fancy Food Show in New York City. my family so much joy for generations”. the best in its category,” says Specialty Food Association President Ann Daw. information visit klarasgourmet.com and specialtyfood.com/sofi. in her family for generations. It is that tradition she now brings to you. I had just visited the Czech Republic in June of this year. One of the many wonderful experiences there, was enjoying the fabulous desserts. I was recently remembering some of those delicious cookies from C.R. and happened to be visiting Idlywilde Farm. As I was perusing various aisles and items I came across your packages of Vanilla Walnut Crescents. I bought the smaller size…not certain if anyone around here could actually master that “European” taste. Eureka. So here I am, on-line, looking up your website and also looking forward to ordering. I’m also excited to see the other variations are available….and, that you are a local MA company!!!! Thank you, and looking forward to receiving my first order (of course the Vanilla Walnut Crescents!! Best cookies near and far! I am in love with the Vanilla Walnut Crescents 🙂 ill eat them forever. Delicious, tried them at Dave’s market! And they are out if this world! !!! I love your Chocolate Macaroons! They’re a little bit of heaven in a snack! BEST COOKIES EVER! Had Klara’s cookies on the cookie trays at my daughter’s wedding – everyone LOVED them!!! My sister just called me to let me know she received her delicious cookies for her birthday…in her words they are so fresh and just like homemade…she opened the tin and had one of each..These are the kinds of cookies we were lucky to get at our local bakeries, way back when we were youngsters…you just don’t get that quality anymore…I researched a great deal online for something special for gifts and I was very excited to find your website…thanks for your great products and congratulations to you in your business…I will be ordering more gifts for others from you…we appreciate your craftsmanship and excellent service. The cookies are a little pricey, but if you think how much time you save and how delicious they are they are well worth it. 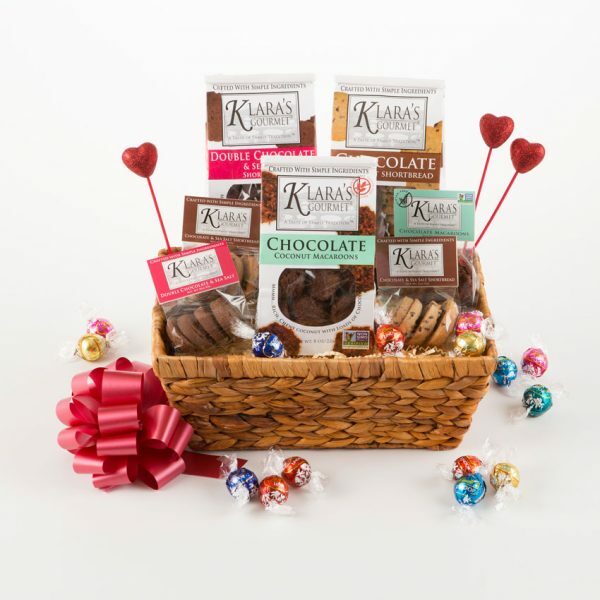 I will certainly order more stuff from Klara’s Gourmet Cookies. My whole family loved them, since we are from Europe these are the most similar cookies that we used to do ourselves when still living in Europe, where you just have more time than in NYC. Vanilla Walnut Crescent review: I absolutely LOVE them.